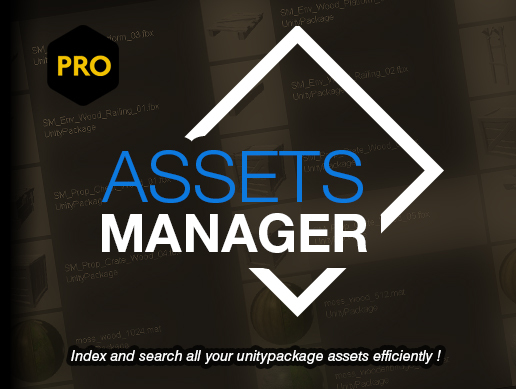 The ultimate tool to index, organize and search into your unitypackage assets ! – Parse packages to display their version number, author, categories, path etc. 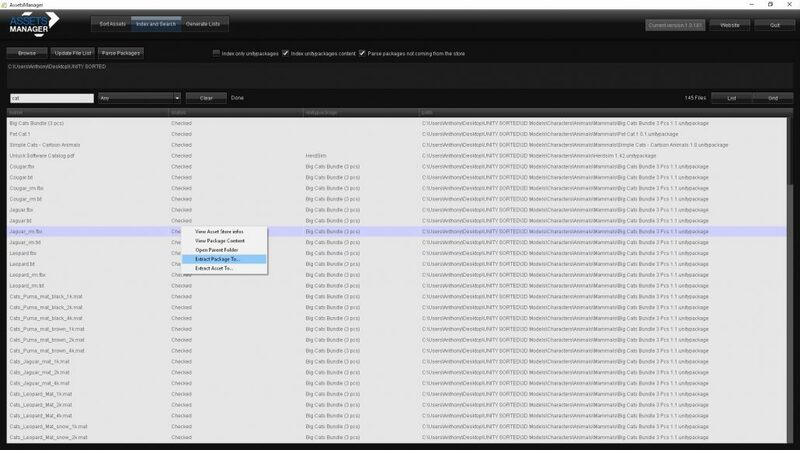 All fields are searchable using regular expressions. – Automatically rename and/or organize packages into folders. 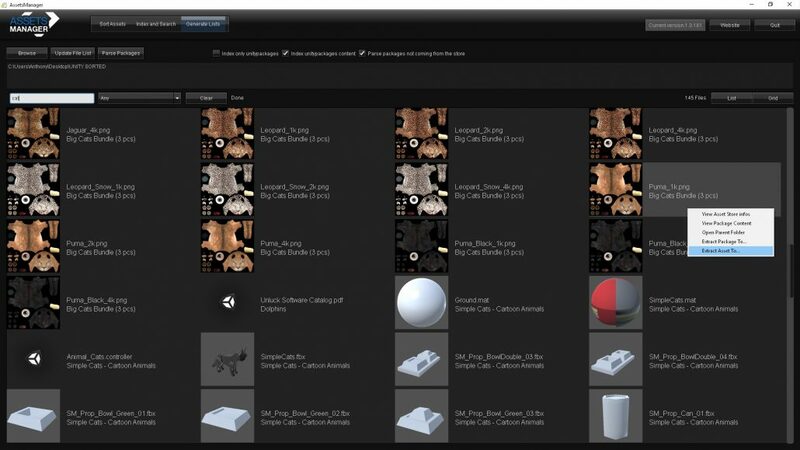 Those folders are generated using the asset store categories. – New : Version Checker for you packages ! 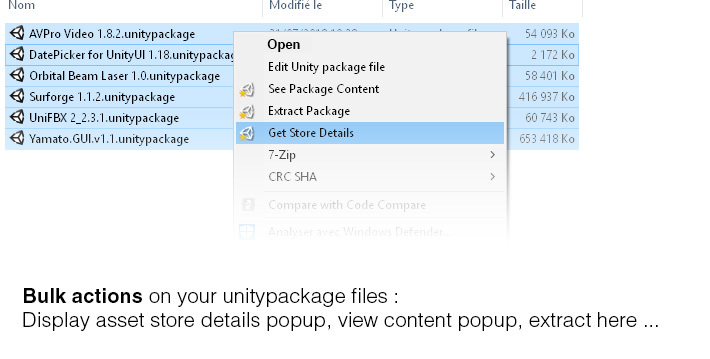 Automatically check for updates and open the download page on the Unity Editor for you ! 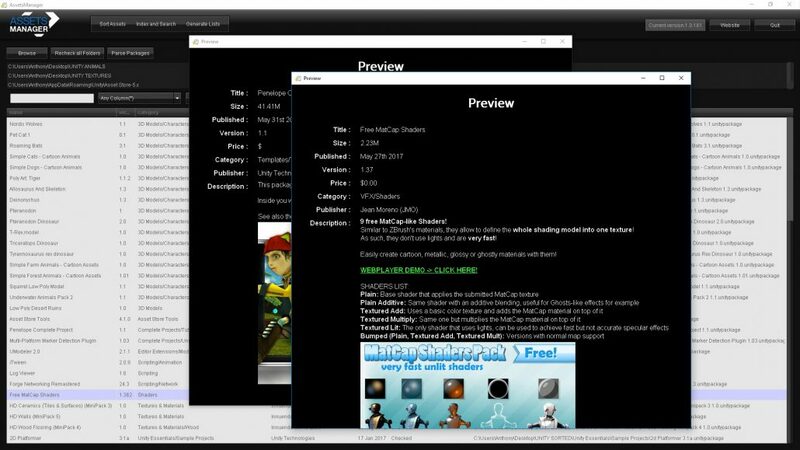 – New : Blazing fast package extractor and reader ! 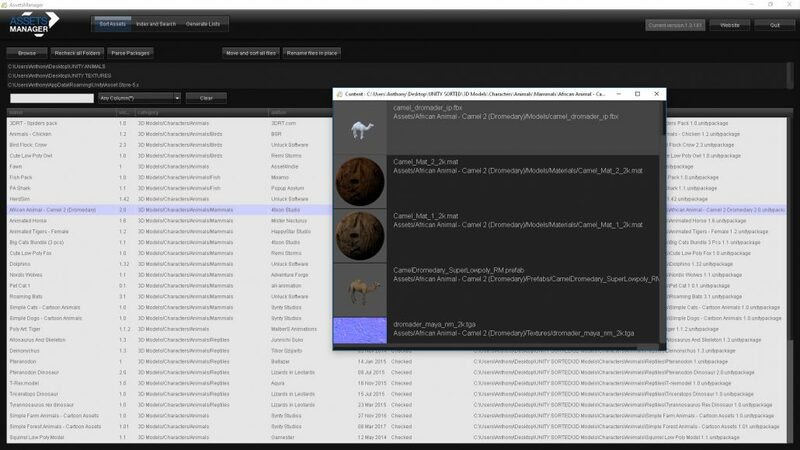 Version Checker : a new « update » column will show you the package version numbers currently available on the AssetStore. A right click menu will let you check for update and proceed to download the update.